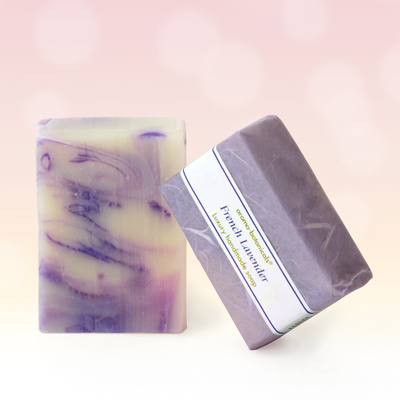 This all-natural Lavender Soap is enriched with shea butter to bring you a truly luxurious, rich and creamy cleanser with skin-soothing and moisturising properties. To ensure you enjoy the best possible fragrant cleansing experience, this all-natural soap contains our finest organic French lavender essential oil which soothes and calms dry, flaky or sensitive skin. This special combination of natural botanical ingredients produces a luxurious creamy lather with a silky texture that will pamper your skin, soothe your senses, and leave you with a gentle aura of exquisite lavender fragrance.